A new sports bar at 29 High Street in Ironbridge officially opens its doors on Saturday 19 January. The bar is run by young entrepreneurs Oliver Humphries and Aidan O’Leary who are excited to bring something different to town. 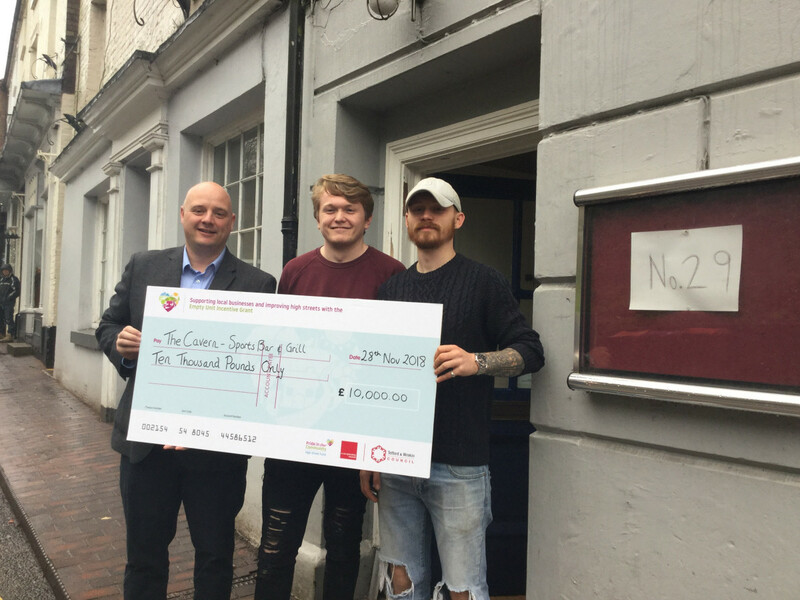 The pair were able to realise their dream of opening the sports bar thanks to a £10,000 Empty Unit Incentive Grant from Telford & Wrekin Council’s Pride in Our Community High Street Fund. Oliver said: “The building was empty for a while, so it has taken a few months of really hard work to get the bar how we want it. It looks great now. The high street is such a fantastic location. We have outside seating with a view over the river too, which will be terrific when the weather warms up a bit. The Empty Unit Incentive Grants are one of many ways the Council is supporting local businesses and breathing new life into high streets. Councillor Lee Carter, Telford & Wrekin Council cabinet member for finance, commercial services and economic development, will be at the opening. He said: “It is great to see this new bar opening and I wish Oliver and Aidan every success for the future. For an Empty Unit Incentive Grant application pack or more information email joy.mcgeown@telford.gov.uk or kathy.mulholland@telford.gov.uk, or telephone 01952 383784.